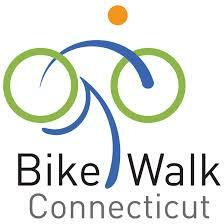 Think you might be interested in serving on the Bike Walk CT Board of Directors? We're always on the lookout for strong board candidates who want to help take our professional advocacy organization to the next level. Please read about board expectations for membership, governance and fundraising, and submit your online application for consideration. Thank you! Scott Gamester hails from a small island off the coast of New Hampshire with fond memories of bicycling into the nearby "big" city of Portsmouth. A daily bike commuter, Scott enjoys riding in inclement weather and he can be seen riding with a smile on those cold and rainy (or snowy) days. Scott received his undergraduate degree from Keene State College and his MBA from Northeastern University. He works in Hartford for Optum where he satisfies his passion for data and analytics. He lives in West Hartford with his wife and their three daughters. Brendan was born and raised in Manchester, CT and is in the process of relocating to Hartford. A graduate of Eastern Connecticut State University, Brendan currently works as a Project Manager at a high end architectural millwork shop, Parkerville Wood Products. He is also in pursuit of his masters degree in education. In addition to cycling, Brendan enjoys spending his time traveling, watching and playing sports, reading and woodworking. Sean Malone Alexander resides in Clinton and grew up on the shoreline of Daytona Beach, Florida. He initially developed his love of cycling when he was a preteen, as he would ride his bicycle from the mainland to the beach carrying a surfboard everyday in order to ride the waves. He is a graduate of Stetson University where he studied Marketing. Sean is currently an avid triathlete and father of two furry labs and a tuxedo cat. Sean's wife endured a traumatic cycling trauma forcing him to make critical decisions about her life while she was in a coma, and then while enduring years of surgeries. He has seen first hand what happens when drivers are careless on the roadways, and has made it his passion to educate cyclists and motorists alike about mutual respect and safety. Sean has become a speaker, personal trainer, and writer about nutrition, health, and exercise and the importance of taking care of oneself in order to care for others. In addition to triathlons, Sean enjoys hiking, making people laugh, and working to make a positive impact in this world. Laura works at Wesleyan University as Project Manager for the Wesleyan Media Project. She has a Masters degree in urban planning from the University of Minnesota. She worked and volunteered in biking/walking advocacy in Oregon, Minnesota and Pennsylvania prior to moving to Connecticut. She lives in Middletown with her husband, daughter and son. ​Mary Cockram has lived in Hartford for 25 years. She enjoys biking to work and for errands and serves on the Hartford Advisory Commission on Food Policy and other boards. She has her own consulting company where she writes grants and conducts program evaluations and assessments; clients include historic house museums, craft sector agencies, and community development organizations, among others. For 14 years, she was Program Director at Aid to Artisans, where she focused on program evaluation and wrote or co-wrote seven case studies evaluating the long-term impact of Aid to Artisans’ work to improve the lives and livelihoods of crafters. She has lived and worked in Bolivia, Brazil, Haiti, and Russia. Cockram has a Masters degree in international agriculture and rural development and a BS in communication, both from Cornell University. A dual MBA and Master of Environmental Management student, Abby serves BWCT through Yale's Nonprofit Board Fellows program. Prior to Yale, she conducted research & development for urban parks at The Trust for Public Land. A longtime transportation cyclist, Abby served as a DC Bicycle Ambassador and in other volunteer capacities for the Washington Area Bicyclist Association. Matt has bike commuted his way across the country, stopping in Seattle, Austin and Chicago along the way. He works as a Town Planner in East Windsor. He received an undergraduate degree from Holy Cross and a graduate degree from the University of Illinois at Chicago in urban planning and policy. Matt is interested in how municipalities can make alternative forms of transportation like biking more attractive, prevalent and accessible for all people. Matt currently resides in Hartford with his wife Emily. Kevin is an aerospace professional and has held engineering and management roles leading businesses with over 1000 employees. Kevin has served in board leadership positions in Singapore, China, Taiwan, Ireland and within the USA. Kevin is a strong advocate for increased bike ridership. While living in New York he established educational "Green Spokes" mountain bike rides for new riders, and in West Hartford he initiated "Bike To Town Thursday" rides while supporting the West Hartford Bicycle Advisory Committee. He has completed two of the world's toughest mountain bike races. At the TransRockies Challenge, Kevin rode as part of the Cannondale Chain Gang team, and for the TransAlp Challenge, Kevin raised funds to provide bicycles and helmets for the Thea Bowman House, a home for at-risk children. Kevin has a B.S. in Mechanical Engineering from the University of Massachusetts, Amherst, an MBA from Ecole Nationale des Ponts et Chaussées in Paris, France, and he completed the Executive Program for Management Development at Harvard Business School. Kevin lives in West Hartford, where he enjoys riding the cargo bike to town with his wife and their four kids. Following a fulfilling career in the aerospace industry, Sue now follows her passion for bicycle-based adventures. Building on her Bachelors degree in Education from UConn, she attained a MBA and then a second Masters in Quality Systems (Business Efficiency). From 2010 to 2013, she was a Board member for a non-profit health care organization. In 2009, Sue co-founded an informal bike group with 21 members from the northeast. Since then, she also volunteers at and participates in various week-long bike tours in NY, Michigan and Virginia. Group reunion weekends and a few century rides culminated in a self-supported, carry-all-your-gear 2000+ mile bike tour from Canada to Mexico with her husband in the fall of 2014. The trip included camping and hosteling along the spectacularly scenic west coast. Sue is a member of the Bicycle Tour Network (BTN), formerly the National Bicycle Tour Directors Association, and she looks forward to pursuing and organizing a multi-day bike tour to promote and encourage cycling in Connecticut. ​A lifelong outdoors enthusiast and cyclist, Craig chairs the Hartford Parks and Recreation Advisory Commission. In his professional life, he developed an extensive mountain bike trail system in Riverside Park in collaboration with Hartford Summer Youth Employment with Our Piece of the Pie. He started Cyclo Cross Racing in Hartford's Riverside Park in 1995 and hosted the US Cyclocross Championship in Hartford in 2017. The son of a bike shop owner and avid cyclists, James was being pulled in a bike trailer before he could walk. Not long after he was on his own bike and has been pedaling ever since. Today he is an avid triathlete competing in iron-distance triathlons around the country. 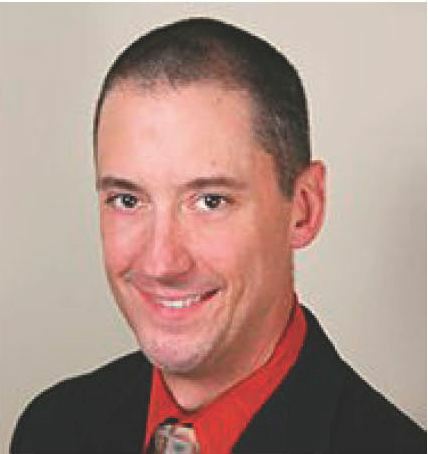 A resident of Clinton, James is an attorney at Polito and Associates in Waterford. He is a graduate of Boston College and Western New England University Law School. As a trial attorney he has represented cyclists and pedestrians who have been injured due to the carelessness of drivers and seen first-hand the traumatic impact such actions can have. Given his personal and professional experiences, James hopes to be an advocate for making Connecticut’s streets a safer place for cyclists and pedestrians. Colleen Kelly Alexander is a lifelong athlete and motivational speaker who inspires positive change, contribution, determination and actionable gratitude. A survivor of brain surgery, multiple autoimmune disorders and a near fatal bicycle accident in 2011, Colleen has battled back from over a month in a coma, thirty surgeries and two flatlines. Continuing to defy diagnoses, dire predictions and death, she has since stunned doctors and successfully run more than 50 races and completed over 20 triathlons, including four Half Ironman since her trauma. A spokesperson for the American Red Cross blood services, featured in numerous national media and having worked alongside Nobel Peace laureates, Colleen ignites action through her philosophy of personal empowerment and spiritual generosity. She is uniquely qualified to speak to the miraculous power of body, mind, spirit and the phenomenal potential every human being has to make a positive impact. With her indomitable approach and incredible story of survival, Colleen teaches others how to aim higher, be stronger and use adversity as a catalyst to make the world a better, brighter place. Currently, Colleen lives with her husband, two labs, Jamis and Coda (named after her favorite steel frame road bike), and cat, Luna. Colleen believes cycling is part of her DNA as she grew up as the daughter of a bike shop owner and safe street initiatives is a passion of hers. She believes that she has a responsibility to be a voice for fallen cyclists that can no longer advocate and educate. Anna is a personal and professional advocate for multi-modal transportation. Although she grew up in Upstate New York, she considers North Carolina to be "home." She fell in love with bicycling while studying abroad in Copenhagen during college, and is a proud alumni of Bike & Build which brought her on a nearly 4,000 mile bicycling tour from Florida to California in the name of affordable housing. Overall, she is happiest when she's deeply ingrained in her community and working towards creating a built environment that supports bicycling and walking. At Yale, he was part of the Nonprofit Board Fellows Program. He is originally from Mexico City, one of the biggest and most congested cities in the world. His transportation experience improved dramatically when he started walking and biking to work. After this, he became interested in advocating for active transportation. ​Originally from the Pacific Northwest, Coby has been a commuter cyclist for over a decade. He has biked in over 20 US cities and eight countries. During his time in CT, Coby led and organized New Haven Bike Party, a nighttime, community-rooted, mobile party and celebration of neighborhoods and bicycling in New Haven. In 2016, Coby organized the New Haven Tour De Brew, a ride series featuring rides to seven local breweries, and included discounts and prizes. He also served on the formation team of goNewHavengo's September Car Free Challenge. Coby is a baseball fan, likes camping, and speaks Korean. Chris is a full-time transportation cyclist, League Cycling Instructor (LCI) and bike business owner based in Hartford. He is a familiar sight to many in the Connecticut cycling community. He contributes to the Beat Bike Blog where a group of local riders chronicle bicycling in the greater Hartford area and beyond. He also serves on the Frog Hollow Neighborhood Revitalization Zone Committee and works for the Department of Fine Arts at Trinity College. A longtime tinkerer, he can often be found working on bike-related projects. Following several years of four-season bike commuting, Chris sold his car in October of 2012 and fully adopted a cargo bike as his primary mode of year-round transportation. Chris believes that everyone benefits from increased bike use and bike-supportive infrastructure. Dave Head is an avid cyclist, runner and tri-athlete who gets to apply his appreciation for active living in his professional life. As a senior planner for the Connecticut Department of Transportation, Dave's vision for a more balanced transportation network helped DOT more fully embrace bicycle and pedestrian infrastructure improvements. Bicycling is a new found passion for Chris Skelly. She is very interested in getting others involved as well. She is also concerned with bicycle safety, especially when traveling on roads where the bicycling culture is not widespread. Chris is involved in several other nonprofits, including Literacy Volunteers of Greater Hartford; board president of Hopeworks, a nonprofit that focuses on behavioral health counseling; and trustee board member of the Wheeler Clinic. Her previous professional work experience includes senior executive positions in the healthcare and group insurance industry. Ray Willis has bicycling in his blood. His grandfather was the proprietor of Ray Willis Toys and Bikes in Westerly, RI and his father owned Ray Willis Bicycles in Hamden, Conn. in the early 1980s. Ray works for the City of New Haven in the Transportation, Traffic, and Parking Department, striving to bring the same advances in bicycle friendly streets to New Haven with “Street Smarts and Complete Streets” initiatives. An everyday all-season bicycle commuter in New Haven, Ray believes that bicycling is the only way to travel and that nothing else compares with the freedom and joy that being on a bicycle provides. As Deputy Director of Sheldon Oak Central, Emily serves as project manager and administers federal, state, local and private funds community development projects and programs. Emily holds a BA in Political Science from Barnard College and an MSW in Gerontology from Southern Connecticut State University. Richard is the creator of the U.S. Open of Cycling (formerly, the US. Open Cycling Championships) and a strategic marketer and product trainer/educator. He has led teams in settings ranging from five-person start-ups to world headquarters of billion dollar companies to small non-profits and enjoys the challenge of learning and innovating to accelerate their growth. Richard lives in Stonington, CT.
Gary Griffin is a passionate and committed cyclist and runner. Gary is interested in increasing bicycle safety, making it more accessible and communicating the benefits of bicycling and walking to more Connecticut residents. He has worked with the Connecticut Safe Routes to School program, and helped launch WalkitBikeit to school, a statewide program aimed at getting more children to bike and walk to school. Gary currently works as the Director of Communications at Travelers. ​As a principal planner for Fitzgerald & Halliday Planning Consultants in Hartford, Ken Livingston concentrates much of his professional energy bicycle and pedestrian planning, including policy and program evaluations, network development and physical route planning. He is currently managing the update to Connecticut's Statewide Bicycle and Pedestrian Plan for the Connecticut Department of Transportation. He has been involved with the development of regional bicycle plans and conducted numerous bicycle and pedestrian demand analysis studies for regional plans and corridor studies. He has also worked in bicycle routing feasibility studies for on- and off-road bicycle networks. His work has focused on community development issues and the linkage between transportation and "livable communities". Mr. Livingston holds a B.S. and M.S. in Environmental Science from SUNY, and a B.S. in Political Science from the University of New Hampshire. MaryEllen Thibodeau, a former lawyer, has been cycling for transportation, fun and fitness for her entire life. About 20 years ago, she began training inearnest for cycling in charity fundraisers, and in 2006 she and her husband rode 3,850 miles cross country to celebrate their 35th wedding anniversary and raise money for the American Cancer Society. She joined the board of Bike Walk Connecticut in January 2008 to advocate for the rights of cyclists and for funding for bike friendly projects. In October 2008, she became a League of American Bicyclists League Cycling Instructor through a course organized by Bike Walk Connecticut. She became Bike Walk Connecticut's first staff person in October 2009. ​Mrs. Hughes has been a recreational cyclist since 1968. In the 1990s she started riding more seriously and changed career directions, moving to fundraising for a new Boys and Girls Club in Hartford. This life changing experience led her to want to share her knowledge of fund-raising with other worthy groups like Bike Walk Connecticut. Recently retired, Mrs. Hughes and her husband have biked through many parts of this country as well as Canada and Europe. It is important to her to spread the advantages and delights of green transportation to as many people as possible. Stuart is a recreational cyclist and a League of American Bicyclists Certified Instructor. He is a professional planner with over 20 years of planning experience on the municipal and regional levels and in the private sector. Stuart's areas of expertise are community and land use planning, transportation and land use connections and public involvement. He has worked on a variety of planning projects and has always been an advocate of bicycle and pedestrian access. ​As the Principal Transportation Planner responsible for bicycle, pedestrian and transit planning for the Capitol Region Council of Governments, Ms. Fry organized Hartford’s monthly Bike to Work events. As the effort grew in scope, Ms. Fry organized Bike Walk Connecticut’s previous incarnation (Central Connecticut Bike Association) to take over the event. Her job as Transportation Planner is made easier by Bike Walk Connecticut’s strong advocacy for alternative travel education and encouragement. ​Ms. Hayes is the Director of Parking & Mass Transit for The Travelers Companies Inc. where she oversees parking and mass transit programs in Hartford, St. Paul, and Travelers field offices nationwide. Through corporate programs, she encourages Travelers employees to bike, walk, take the bus, vanpool, and other low-impact forms of transportation. Under Ms. Hayes, more Travelers employees have consistently participated Hartford’s monthly Bike to Work events than any other company in the city. Travelers provides on-site showers and bike racks to riders, and regularly posts information about Bike to Work on the company intranet, as well as sponsoring the monthly events for the past three years by providing breakfast and employee volunteers to run the day’s events. Ms. Hayes has taken Traffic Skills 101 and encourages all board members to do the same! ​Tom O'Brien is a freelance journalist and carpenter who's committed to making Western Connecticut more amenable to walking and biking. His major accomplishment is the establishment of the New Milford River Trail, a greenway that will follow the Housatonic River the entire length of town. He's looking forward to the day when he and his son will no longer be recognized throughout the community as "the bike riders." ​Martha Page is the Executive Director of the Hartford Food System, a nonprofit organization in Hartford dedicated to food security. Previously, she was the Environmental Health Manager for the City of Hartford Department of Health and Human Services. Martha is a certified Public Health professional who walks and bicycles often and wants others to do so as well, for the health and fun of it! She particularly enjoys bike touring and has taken several trips with her bicycle, both here and abroad. For Martha, cycling and walking are wonderful ways to be outdoors with friends and family, to see things in a way that you can't when you're stuck in a car, and to allow you to eat more than you otherwise could. ​Mr. Lafleur is a musician and Corrections Counselor with the CT DOC who enjoys mountain bike racing and street cycling. While he currently bikes mostly for recreation/health/fitness/sanity, he is working toward making biking his primary form of transportation. He believes that bicycling has the power to change the world. ​Formerly President of CSG International, McGuane was appointed President of CSG North America in March 2009 and is charged with driving the CSG business in North American from its Bethel, Connecticut global headquarters. For the past 15 years McGuane has held positions with Cannondale and CSG in the United States, Japan and Europe. He was appointed President of Cannondale Europe in 2004 and named President of CSG International in August 2008. Under McGuane's leadership, Cannondale Europe experienced a truly exceptional rate of growth and success. McGuane sits on the Board of Directors for Bikes Belong and is a member of the International Mountain Biking Association. Improving the safety of our streets and the availability of places to ride in Connecticut is a goal McGuane has set for CSG. Advocating for bicyclists by working in conjunction with groups like Bike Walk Connecticut, local bicycle dealers and cyclists will help to create positive change in our state. McGuane is an avid cyclist and enjoys riding for recreation, commuting and with his family. Mark Paquette is the Executive Director of the Windham Region Council of Governments (WINCOG). Mark serves on the Governors CT Greenways Council as it’s acting chairman. Mark is a member of the EastCoast Greenway (ECG) Trails Committee and chairs the CT section of the ECG. He also serves on the CT Advisory Commission for Intergovernmental Relations (ACIR). The commission is a 24-member agency of the State of Connecticut to study system issues between the state and local governments and to recommend solutions as appropriate. Mr. Paquette also is chairman of the CT Association of Regional Planning Organizations. Mark also chairs the Eastern CT Sustainable Communities Regional Planning Consortium. Mark is an avid cyclist, runner, golfer and skier. He has been a certified soccer referee for both high school and college soccer for the past 24 years, and serves on the Board of Directors of the New England Intercollegiate Soccer Officials Association and serves as Treasurer/Secretary for the Eastern CT Soccer Officials Board. Mark resides in Mansfield with his wife Chris. ​Luis Rivera grew up in Hartford and has worked with the Hartford Community for almost 10 years. Luis Rivera has worked with the North End of Hartford at Jumoke Academy, and also in the Frog Hallow area at MI Casa Community Center. Luis is currently working as the Program Coordinator for the Injury Free Coalition for Kids of Hartford a program of the Injury Prevention Center at Connecticut Children’s Medical Center. Luis directs community outreach activities, teaching the Hartford Community to be safe, while they enjoy wonderful activities like bicycling and walking. Through his work at Connecticut Children’s he has properly fitted helmets on thousands of kids during health fairs, bike rodeo and helmet safety classes. He has also donated several bicycles to youth in the community. Luis strives to promote wellness by encouraging kids to be active, to walk and ride bikes, but to do so in a safe manner.